Intelligent Fingerprinting has announced today that it has secured £300,000 of investment from Synergis Technologies together with the Iceni Seedcorn fund. Intelligent Fingerprinting has developed a unique technology for the simultaneous detection of personal identity and contact with illicit substances from fingerprints. A spin-out company from the University of East Anglia, Intelligent Fingerprinting was founded in 2008 and received initial seed funding from Iceni. The company has developed methods to determine whether an individual is using drugs from the sweat deposited in a fingerprint. 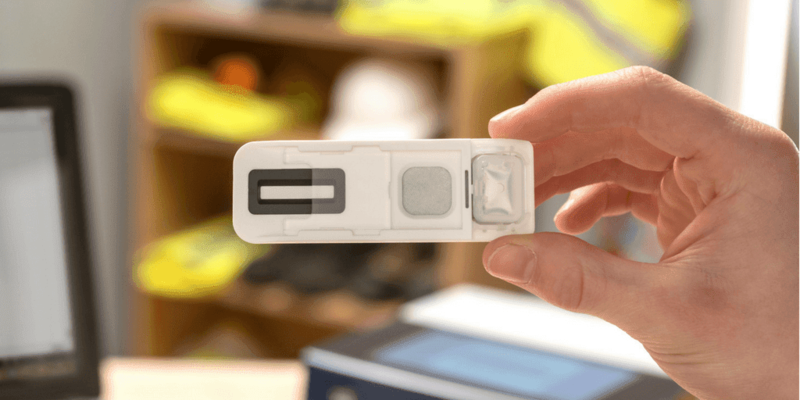 The fingerprint itself provides positive identification of the individual and sweat analysis shows the presence or otherwise of drugs in the body. The combination of both these factors provides a watertight evidence trail for crime detection. The technology detects the metabolites and not the drug itself. It is, therefore, impossible for an individual to avoid detection – if hands are washed, a time delay in acquiring the fingerprint will still show the metabolite on the fingerprint when he or she begins to sweat again. Intelligent Fingerprinting is developing reagent kits which use high sensitivity immunoassay technology intended for application in forensic science, roadside policing and homeland security. The reagent kits can already determine nicotine, cannabis, methadone and cocaine and development work continues for the identification of other illegal substances, individual biomarkers and even explosives. The biggest issue with current testing methods for illicit substances is mislabelling of blood and urine samples as they are sent away to forensics laboratories for testing and the time taken to get a result. 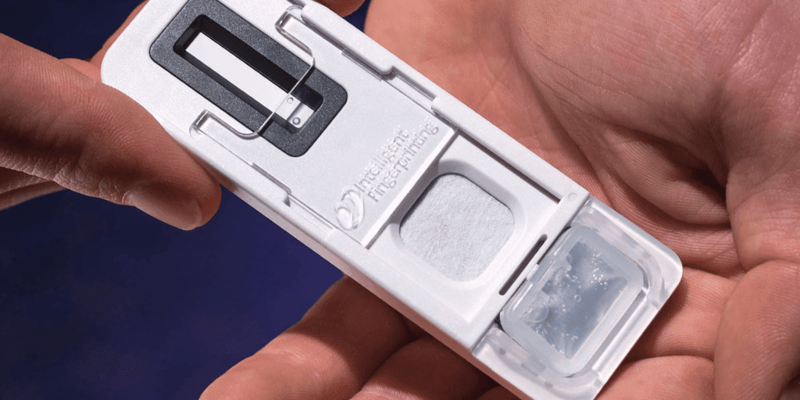 By taking the fingerprints of a suspected user and testing these instead of a blood or urine sample as evidence of drug abuse means that there is no chance for fraudulent swapping of samples or mislabelling. Terry Swainbank, Investment Director, Synergis Technologies stated, “This is a very exciting investment opportunity for us and we are looking forward to working with Intelligent Fingerprinting as they develop this next generation in diagnostics technology into a significant commercial success. With the increased movement of population around the world, there is a strong need for a system that can accurately and quickly determine illicit substance abuse in an individual”. Prof David Russell, CTO and Founder, Intelligent Fingerprinting said, “By simultaneous detection of personal identity and illicit substances, we are able to offer law enforcement agencies the ability to create personal profiles which are, otherwise unavailable. 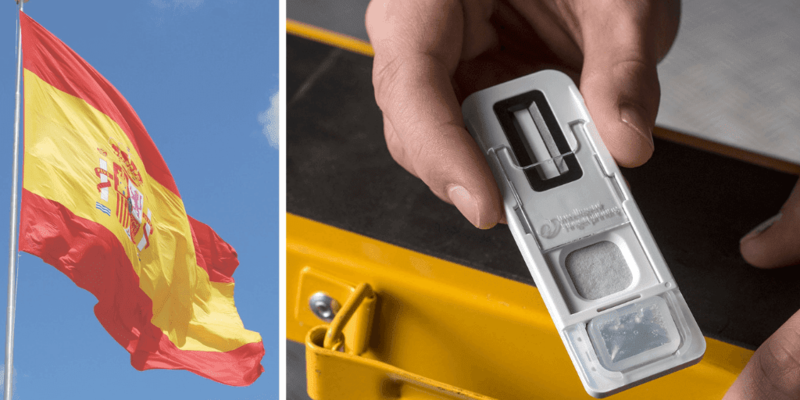 The ability to perform rapid and non-invasive drug tests on-site not only has application in law enforcement and border control but also institutional testing such as in prisons and where safety-related functions need to be performed”. Dr Jerry Walker, CEO, Intelligent Fingerprinting added, “For the first time, fingerprint imaging and drug detection can be done at the same time with Intelligent Fingerprinting’s revolutionary technology. We strongly believe that the Company’s technology is highly robust and sensitive adding versatility and higher quality evidence analysis to crime scene investigations”.